Tldr: This is the port and unofficial continuation of Vazkii's wonderful mod Botania from Minecraft 1.8.9 to Minecraft 1.10.2 (build 320). From Build 321 on, Vazkii will be developing Botania again. So please go back to the link above for newer versions. I have a question um, does it work in 1.8.9? The 1.8 version works but isn't supported. Dude.. thanks, i love you (i not gay :P). Thank you for continuing this amazing mod that is some of the mods required on all modpacks! Why aren't I getting any help? Because of me using the 1.8 version? that version is not supported. Yaddy yaddy yeah. Can I be the sole exception? Are you seriously asking that I not only go dig up a 10 month old unfinished and broken version, screw all the versioning, but also do it "just for you", disregarding what I just said about it not being supported? Unsupported is unsupported. I do not work on Botania Unofficial any longer. 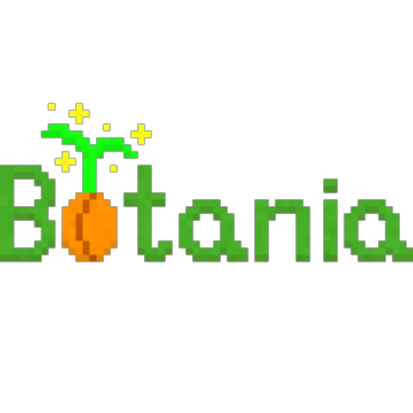 If you need assistance in 1.10.2 go to the Botania bug tracker. Otherwise, you are on your own. This is the SECOND user I used to like but now despise! The fist being Reika. If you weren't being a self-entitled prick perhaps you'd like them. "fist" was just a misspelled "first". Also, hello Vazkii-sama! This is getting nowhere. Discussion closed. lol. ty for the laugh. hugs Thank you :) I don't know how to put this into words so please just accept my thank. Would just like to thank you for the port, But Official Botania has now been updated to 1.10.2.. If you are good at porting, Can we ask if its possible to port Open Blocks and Mob properties to 1.10.2? i thought openblocks was in progress?